We are your #1 gift source for the holidays! 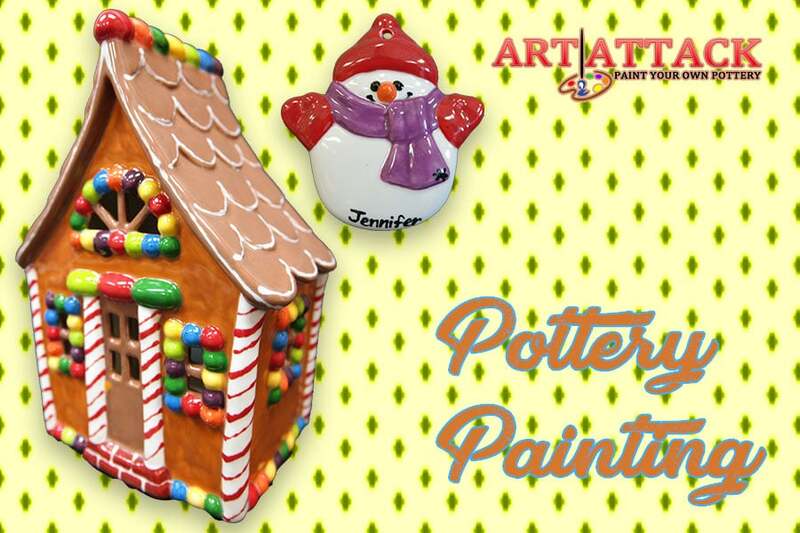 Are you ready to paint the perfect gift for the holidays? Make mom her favorite serving dish or cereal bowl. 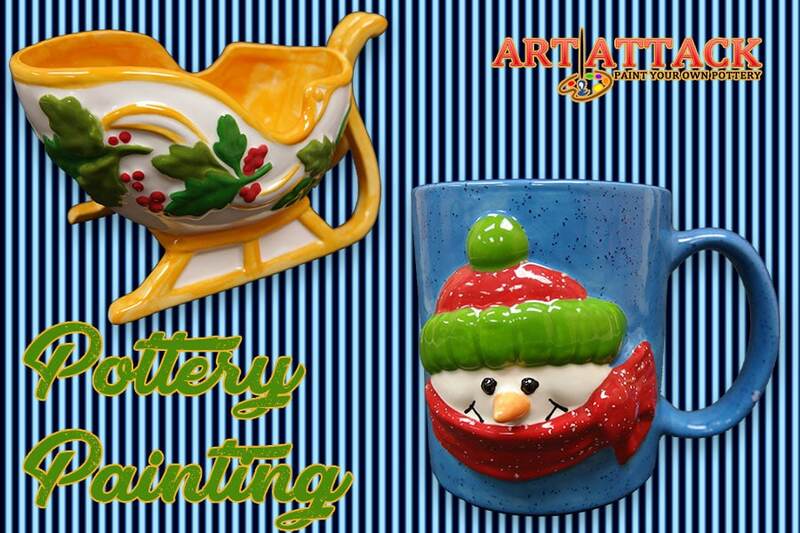 Paint dad a memorable picture frame or travel coffee mug he can use daily. 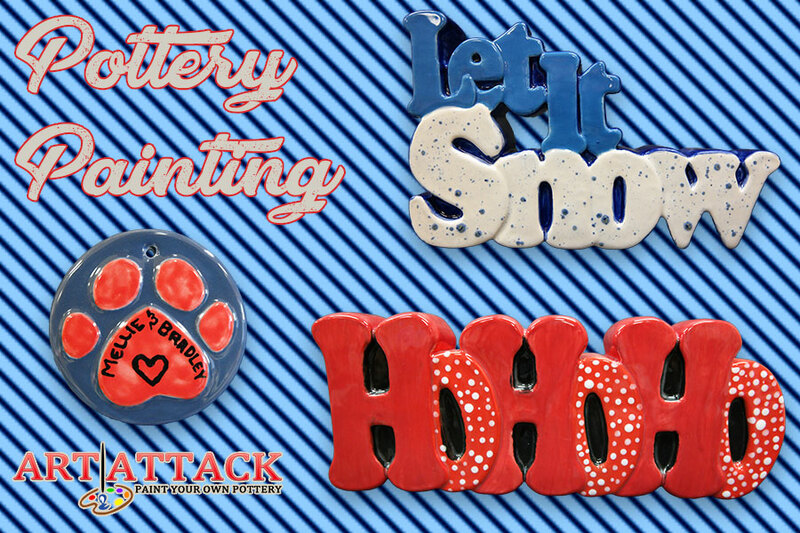 Bring the kids and make lasting memories with handprints and footprints on your favorite ceramic piece. What ‘s more special then receiving a handmade gift from your loved one – especially when little ones help paint it! 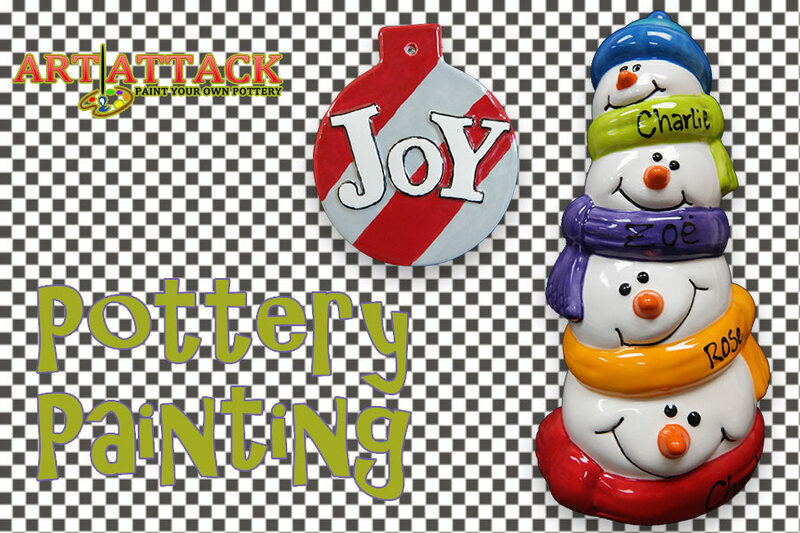 Kids & adults love to paint holiday ornaments! We stock over 24 cheerful designs for you to choose from. These ornaments are fun to decorate your tree with or give as gifts for family members, teachers, neighbors, and friends. Looking for some festive holiday décor for your home? 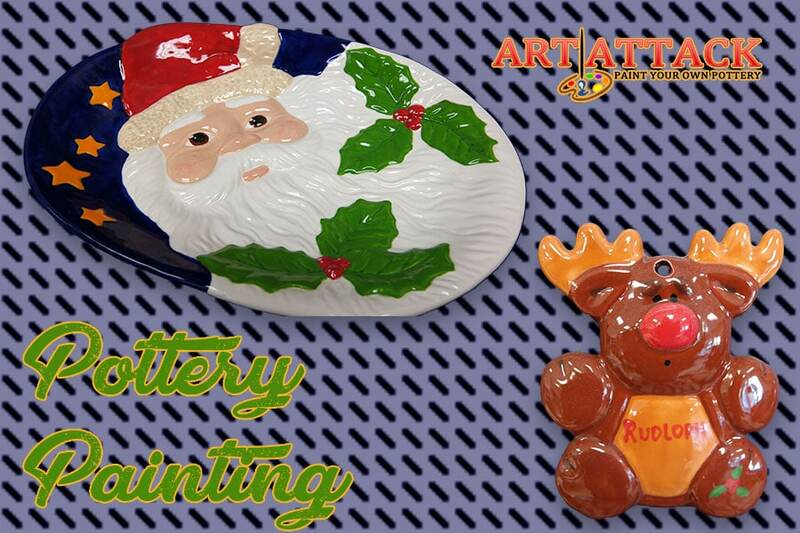 Choose from an array of beautiful ceramic Christmas trees, holiday mugs and plates, reindeer & snowman figurines, and so much more. Choose from over 60 fun paint colors, glitter glazes, design tools and unique techniques for you to make the coolest items that you can cherish for years to come. Finished pottery samples line our shelves to help give you a jump-start on some design ideas and show you how great the finished products look after they are fired. Need a little help finding the perfect paintbrush? Or maybe you want to know how to use our stencils and rubber stamps? Our creative team members are always out on the studio floor ready to assist you with all your creative needs.